Belize City, Belize 8 March 2012 – Newly reelected Belize Prime Minister Dean Barrow has said he will turn to Hugo Chavez for assistance in providing low cost fuel as part of his plan to reduce the cost of living in Belize. Mr. Barrow was speaking at a press conference in Belize City after narrowly escaping defeat in general elections held yesterday. His United Democratic Party won 17 seats versus 14 seats for the opposition Peoples United Party in the country’s 31 seat parliament. It had previously enjoyed a super majority of 25 seats in parliament. Mr. Barrow said that his government will continue its pro-poor agenda and that by importing fuel direct from Venezuela, he will cut down on high priced imports from traditional fuel suppliers. He said that while the plan was not divulged in his party’s election manifesto, he would immediately open a dialogue with Venezuela to obtain fuel under the Petro Caribe plan promoted by Mr. Chavez. 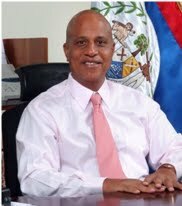 Currently Exxon, Shell and Texaco provide fuel imports to Belize. Mr. Barrow further promised to establish a government oil refinery within 18 months to process the country’s crude oil which is currently exported, in an effort to further reduce reliance on fuel imports. Mr. Barrow added that his government will look at producing its own bio-fuel and other fuel alternatives. Mr. Barrow returns to power in a hotly contested election that has yet to be conceded by the opposition Peoples United Party. The PUP, claiming election irregularities, is going to court to contest the results of three constituency seats. An observer mission from the Organization of American States today held a press conference in Belize City where it made note of several issues in yesterday’s general elections. These include the use of state resources in the election campaign, the deployment of government vehicles and drvers to support government candidates on Election Day, and the exchange of cash for votes. Asked about the OAS observations at today’s press conference Mr. Barrow was dismissive and stated that the elections were free and fair but not perfect.